If you do not have , replace with maple syrup or agave syrup. In a pan, add the nut butter, coconut oil and coconut blossom syrup and gently heat up until well combined, then stir in the coconut flour and dessicated coconut until well incorporated. Refrigerate for a few hours or overnight, before turning out and cutting into squares. This has been good in my fridge for up to 3 weeks, but I bet it won't last that long in yours. Thanks Laura, thats good to know. You are indeed on a fudge streak! What a great selection of variations you are working through and I love how coconutty this is, in so many ways. Subtle sweet is good too as so many fudge recipes are super sweet. I certainly am Kari, hoping to make more and maybe mess with this recipe a little more this time with another flavouring. You're making me hungry with all these fudge recipes! Thanks Susie, hope you get to try some of the vegan versions. Monika, this is not an authentic recipe but one I have devised and played around with. Real fudge is made with condensed milk and has to be made on the hob and does take a longer while. Glad you like this vegan version though. 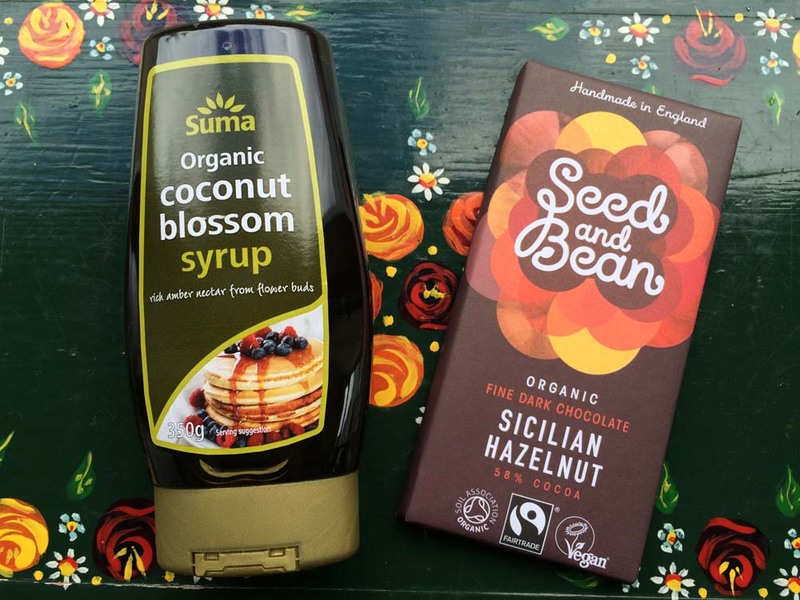 coconut blossom syrup is new to me - and am sure that I would enjoy it. I don't think coconut flour and coconut milk powder are the same because if you add water to coconut flour surely you don't get coconut milk. But that is just my opinion rather than any expertise I have. Anyway I am sure your fudge would be delicious and a great way to use up coconut flour. The coconut blossom syrup made a change from honey, maple and agave syrup - its much deeper than agave and maple, but then I guess there are many grades of each. I agree with you about the difference about coconut flour and coconut milk powder, but wondered what made them different in the processing is is coconut milk powder made from the actual liquid in it or with the coconut part that you scrape out of the shell. Just want to understand a bit more...I am hoping to make more coconut fudge and some for my Dad. He is diabetic and I think he would enjoy these, he loves his South Asian sweets. coconut blossom syrup is new to me and I've not tackled fudge beyond the standard chocolate with nuts. Some new ideas here. Thanks and hope you are well. Its new to me too, first time I used it and it was interesting, though I don't think I would necessarily seek it out again, unless of course i have to use it in a specific recipe. 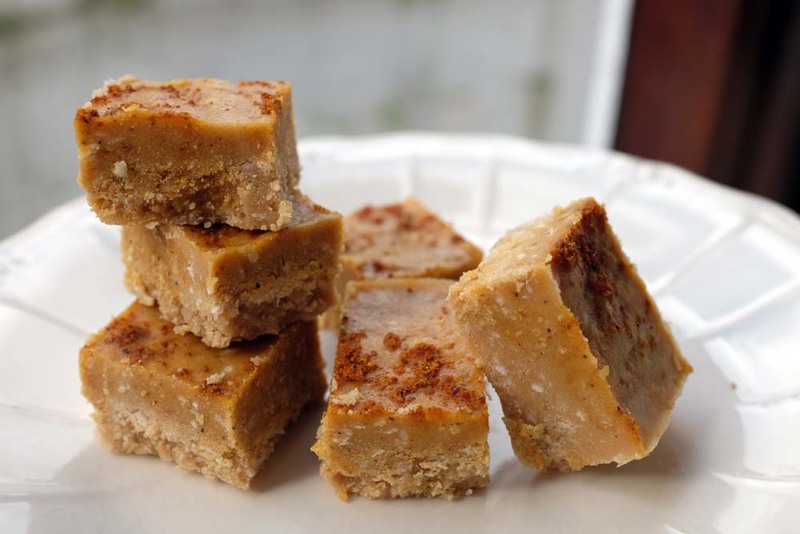 I need to try more traditional fudge recipes made with condensed milk. Its def. healthy than the sugar condensed version. 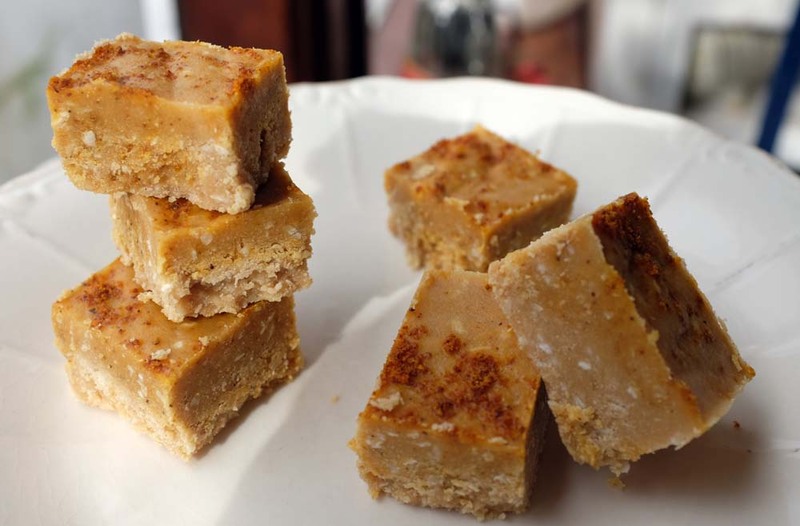 I need to make some vegan fudge - I can't think of the last time I attempted to make it at home, and I'm always seeking new things to do with my coconut flour at home (I have a bag that seems to have lasted for years!) I think coconut flour and milk powder are different - I think one is defatted or something like that? Couldn't swear to it though. Joey, do you have a good vegan fudge recipe to share with me, or a link to one. I have tried vegan fudge at other places, and mine does not taste like those a little on the icing sugar sweetness. So would appreciate some insight. Thanks re difference, i think you are right re difference in flour and powder.